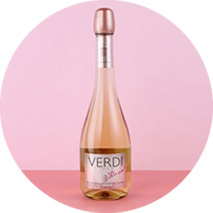 Anything can happen with Verdi. 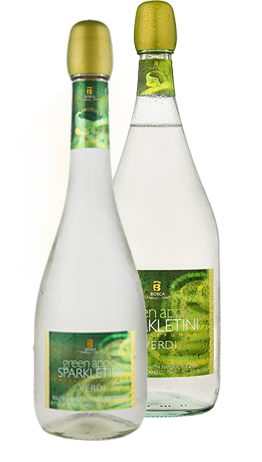 Verdi Spumante is a natural, sparkling beverage imported from Italy. 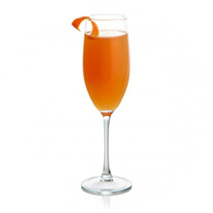 Deliciously sparkling and zesty, it has a soft and fruity flavor. 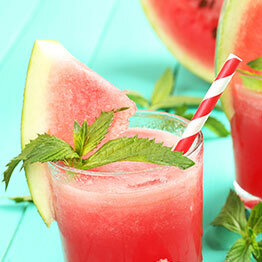 Serve chilled to fully enjoy its balanced, clean, delightful taste. 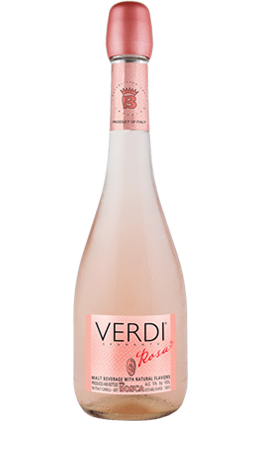 If you like Rosé, you’ll love Verdi Rosa. 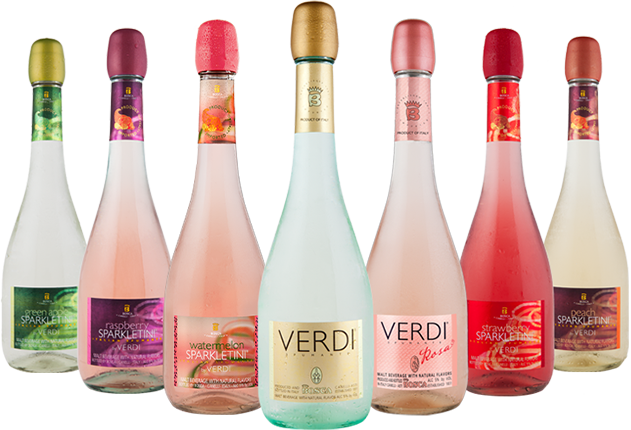 Verdi Rosa, a natural, blush-toned sparkling beverage, is the newest addition to the Verdi family. 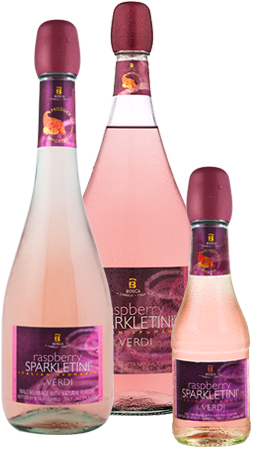 Perfect for fans of Rosé wine, Verdi Rosa has a soft, versatile flavor that makes it a delicious sparkling alternative. 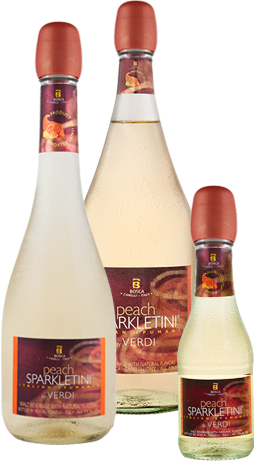 The newest member of the Sparkletini by Verdi family. 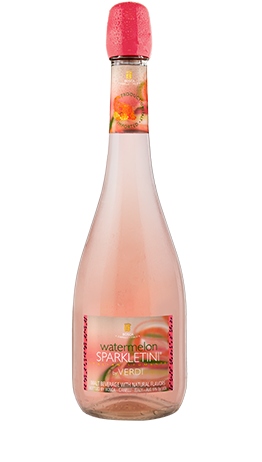 Watermelon Sparkletini delivers true-to-fruit watermelon flavor, with a refreshing, subtly sweet kick. 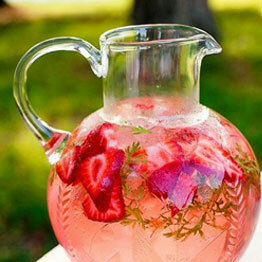 Try it on its own, or add a splash to your summer cocktails! 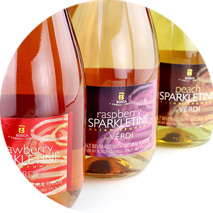 This exciting flavor delivers a fruity and refreshing twist to our popular line of sparkling beverages. 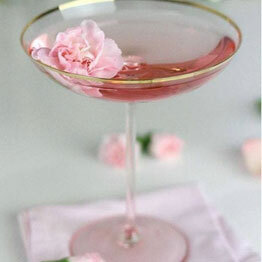 With just the right amount of Strawberry flavor, Strawberry Sparkletini is a very versatile Spumante that is an excellent addition to many other cocktail ingredients, including vodka (either plain or flavored). 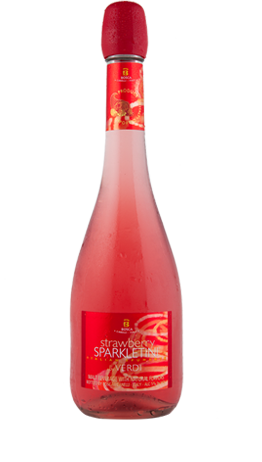 #1 imported flavored sparkling in the US! 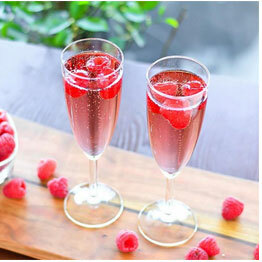 A delightfully sparkling Spumante with a light, refreshing Raspberry taste that’s perfect whenever you feel like enjoying a fun, sophisticated drink. 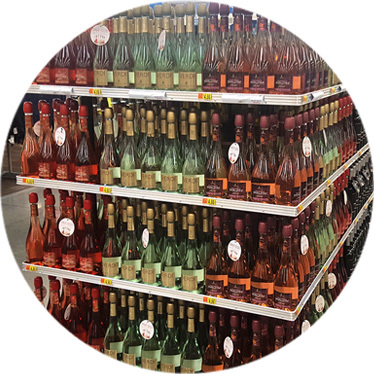 Serve chilled to enjoy its balanced, clean taste. 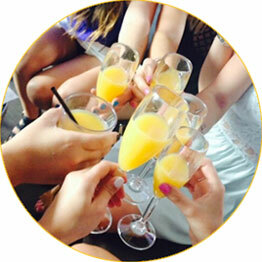 Perfect in a Peach Bellini! 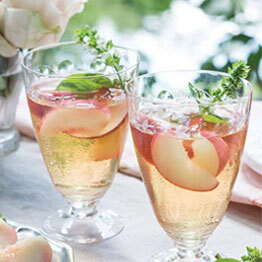 A delightfully sparkling Spumante with a light, refreshing Peach taste that’s perfect whenever you feel like enjoying a fun, sophisticated drink. 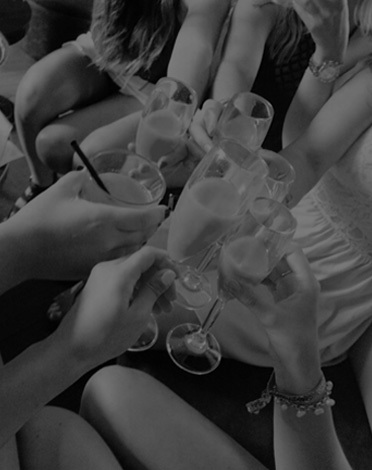 Serve chilled to enjoy its balanced, clean taste. 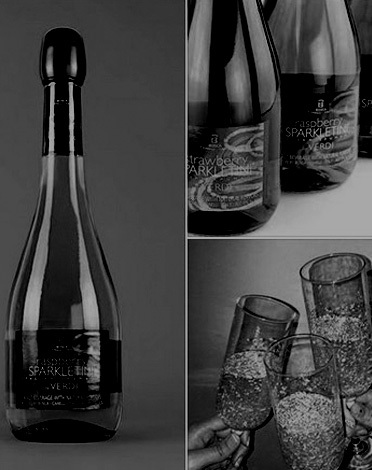 A delightfully sparkling Spumante with a light, refreshing Green Apple taste that’s perfect whenever you feel like enjoying a fun, sophisticated drink. 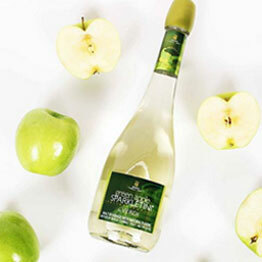 Serve chilled to enjoy its balanced, clean taste. Serving size 6.3 fl. oz. (187.5 ml), Servings per container 4, Calories 118, Fat Cal 0, Total Fat 0g (0% DV), Sat.Fat 0g (0% DV) Trans Fat 0g (0% DV), Cholest 0mg (0% DV), Sodium 5.81mg (0% DV), Total carb 16.52g (6% DV), Fiber 0g (0% DV), Sugars 16.52g, Protein 0.23g, Vitamin A (0% DV), Vitamin C (5% DV), Calcium (1% DV), Iron (0% DV). Percent Daily Values (DV) are based on a 2,000 calorie diet. 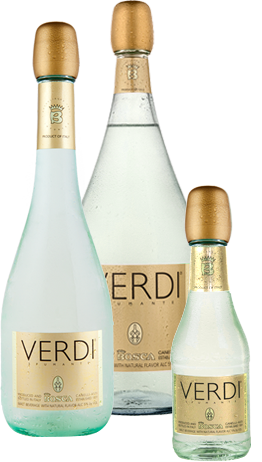 AT 5% ALCOHOL BY VOLUME, VERDI IS A SOCIALLY RESPONSIBLE SPARKLING ALTERNATIVE THAT IS PERFECT FOR EVERY OCCASION.